In the upcoming show we are going to discuss Jeff Bezos’ visit to Berlin last month when he received the Axel-Springer-Preis. 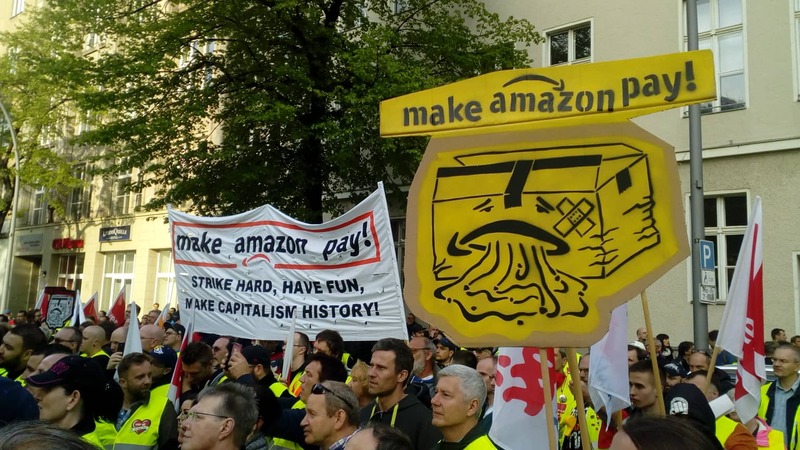 We are going into working conditions Amazon workers face in different European countries, and we are going to have a look at previous struggles that were supposed to change these conditions. Of course, we also want to discuss the protests during the Axel-Springer-award.